"SEE WELL, EAT WELL, BE WELL"
Our office cares about you! From your vision and eye health to your nutritional needs, and overall well being. It is never too late to make healthy choices to improve your life and sight. During your Comprehensive Eye Exam Dr. Aleksandra Wianecka will look at the past, present, and future choices you have made to ensure that you have a clear, bright and productive lifestyle. Dr. Wianecka believes every child should have an eye examby and eye care professional, yearly starting at 6 months. Pediatrician’s exams are not enough. 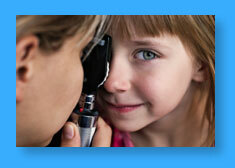 30 percent of visual impairments are missed by pediatrician eye screenings. 80 percent of all learning in school is done visually, this is why it is so important to have your child’s eyes tested yearly, especially those of school age. With the overwhelming use of electronic devices today kids are diagnosed with all kinds of visual disorders earlier. Schedule your kids eye exam today. It is the only way to prevent long term side effects from vision impairment. Doctors of optometry (ODs) are the primary health care professionals for the eye. Optometrists examine, diagnose, treat, and manage diseases, injuries, and disorders of the visual system, the eye, and associated structures; as well as identify related systemic conditions affecting the eye. Dr. Aleksandra Wianecka prides herself on being involved both in her comunity, and her profession. She is a member of the American Optometric Association, a trustee for the New York State Optometric Society. Participating member of the Babylon Village Chamber of Commence, as well as the Copiague Chamber of Commerce. She is the Past President of Suffolk County Optometric Society and Past Director of the Copiague Chamber of Commerce. There is no substitute for the quality of life good vision offers. 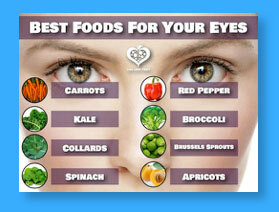 Adding certain nutrients to your diet every day - either through foods or supplements - can help save your vision. Researchers have linked eye-friendly nutrients such as lutein/zeaxanthin, vitamin C, vitamin E, and zinc to reducing the risk of certain eye diseases, including macular degeneration and cataract formation. We're proud to partner with Optometry Giving Sight. You can join us, and help provide sight to millions by donating some - or all - of your rebate. If you'd like to participate, simply select your donation amount during the online submission process and we'll take care of the rest.